Over the course of the summer we have been involved with several projects/events as part of our ongoing commitment to engaging the public in the work that we do. 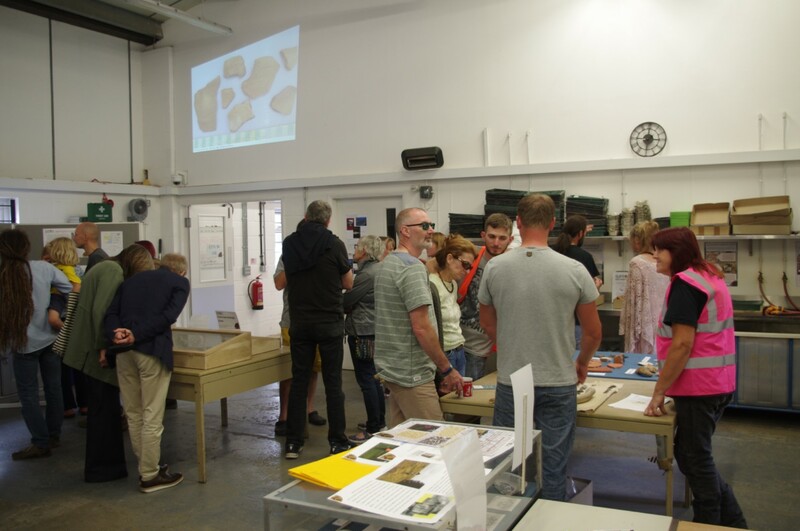 Following on from last years event we once again opened the doors of our Warehouse as part of the CBA Festival of Archaeology 2017 and welcomed nearly 250 people to our Open Day on 22nd July. Visitors were able to see displays about our role in general as an archaeological contractor and some of the discoveries and artefacts from our recent projects. This year we also offered a wider range of participation activities such as pinch pot making and coprolite dissection and were also fortunate to have Steph and Neil Paull at the event who put on an amazing demonstration of Anglo-Saxon pottery making and antler and bone comb manufacture. The Archaeo-Café was once again very popular and raised an impressive £195.00 for the Chernobyl Children’s Lifeline Mid Suffolk, based here in Needham Market. A big thank you to all who helped on the day and to those who attended the event. We look forward to seeing you all next year! A site visit to an ongoing excavation at Fornham All Saints, which included training on how to use GPS equipment to carry out a site survey. 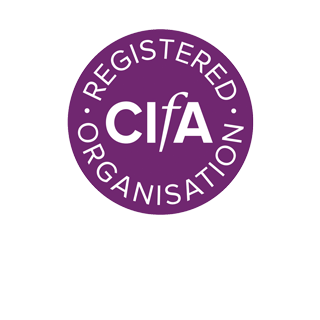 Introduction to post-excavation assessment and reporting through examination of past reports, inputting of site data into custom databases, training in Autocad and the digitisation of site drawings. Training talks from a Finds Officer (finds analysis, microscope views of pottery fabric etc) and Geophysics Officer (magnetometry, GPS survey etc.). 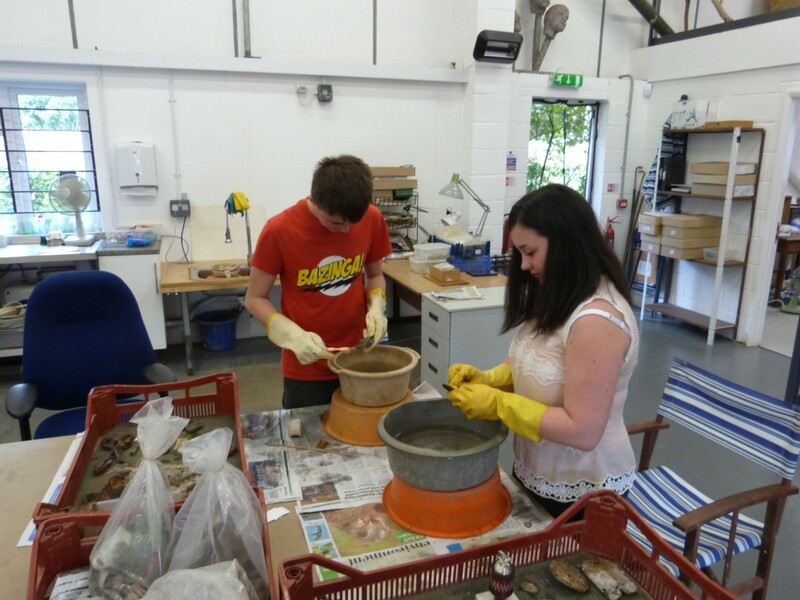 Artefact handling sessions and finds processing, marking and storage of a diverse range of material from recent projects, such as residues from Anglo-Saxon cremation urns to World War 2 artefacts. 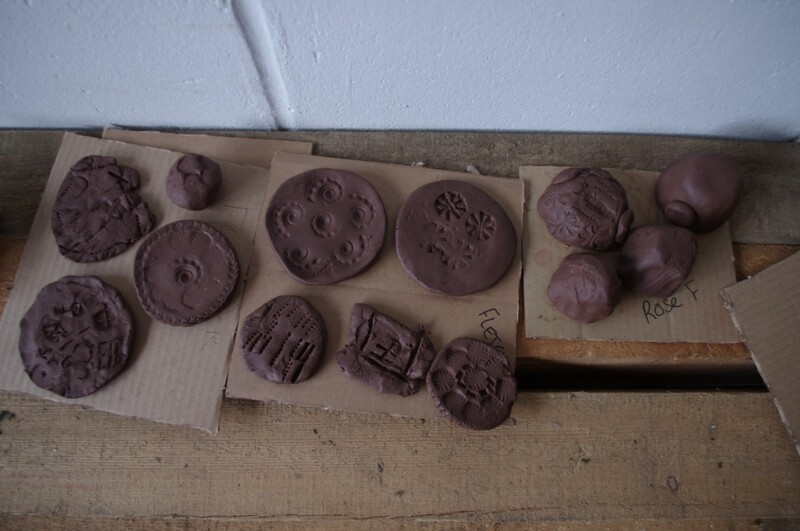 Preparation of display material for a hypothetical open day for an excavation of a small rural Roman site. 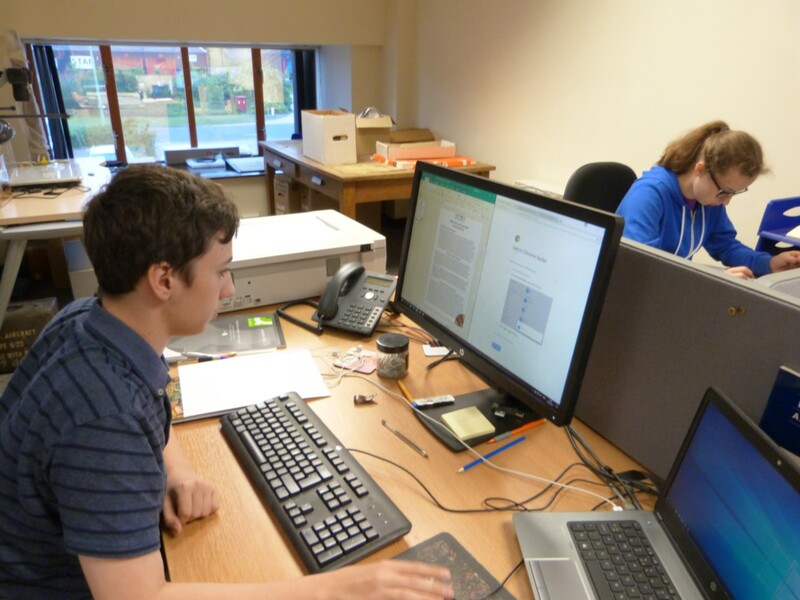 Production of posters, leaflets etc based upon reports, photographs and drawings from the site archive. Presentation of the display to staff. Preparation for a Science Fair/Coprolite display at Thomas Gainsborough School, Great Cornard. A visit to the Hands on Heritage experimental archaeology centre at Tunstall. Please contact our Outreach Officer Alex Fisher for an informal discussion on future placements. Our Geophysics Officer Tim Schofield and Ed Palka provided a demonstration of geophysical survey using a magnetometer at the annual Open Day at the High Lodge Visitor Centre on 27th July as a part of the launch event for the Forestry Commissions 'Trailing the Hidden Heritage of High Lodge' project which has recently been awarded a Heritage Lottery Fund grant. This two year project will see the creation of a new heritage trail through the forest and will include opportunities for the public to explore and research the history of the landscape through a series of Day Schools, workshops, family events and programs of archaeological survey and investigation. Suffolk Archaeology has already carried out earthwork surveys of the proposed trail routes and, in 2018, will be leading a program of training, survey and and archaeological excavation for volunteers in conjunction with the Friends of Thetford Forest.